CALLING ALL SOCIAL ENTREPRENEURS AND INNOVATIVE NONPROFIT LEADERS, ARTISTS AND ACTIVISTS, THE DREAMERS AND DOERS, THE THINKERS, THE VISIONARY CHANGEMAKERS, CREATORS AND CATALYSTS! Imagine a better you. Imagine a better world. Now open your eyes. We’re here to help you realize it. JOIN AMY SOUCY AND SCOTT TILLITT FOR A UNIQUE, PROFOUND WAY TO MAP YOUR PURPOSE AND ENVISION YOUR FUTURE BY COMBINING MINDFULNESS PRACTICES WITH STRATEGIC VISIONING EXERCISES AND COMMUNITY BUILDING. An intimate retreat in an inspiring setting to open your mind, body, and heart to fresh possibilities. 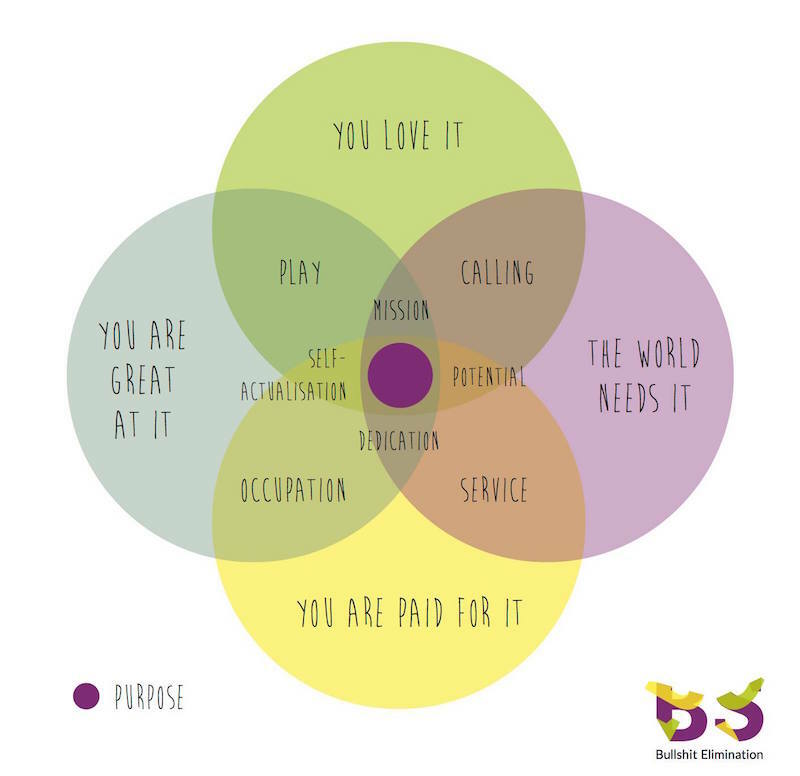 Everyone's talking about purpose these days. Everyone tells you that you need to find yours — for your own sake and for that of humanity's. As changemakers, especially, we need to not only continually stimulate our creativity, we need to keep our hearts open to remember whom and what we’re fighting for. That's purpose. There is a growing proliferation of books and articles and workshops with various approaches promising to help you find yours. One approach is visioning, a vogue-ish high-level process used in business, urban planning, nonprofits... anywhere where thinking strategically about future direction is helpful. We’ll use it for our own creative, entrepreneurial, world-changing endeavors, whatever they may be. To help create a clear picture of life goals and deepest dreams, personally and professionally. Stay and explore Beacon in the verdant Hudson Valley. We’ll provide lodging options and suggestions of things to do. Spring's glorious renewal should be starting to bloom. Amy is a NYC and Hudson Valley-based singer-songwriter, yogi, movement ­junkie and devout student of creativity and the mind-­body connection. Committed to offering accessible and transformative wellness experiences, Amy's teaching is grounded in 15+ years of mindfulness practice, extensive training in a range of methods and modalities (Anusara and Integral yoga, Feldenkrais, functional movement, Vipassana) and a performing arts background. She brings her extensive skills to a diverse array of students in a variety of settings: from studios to schools, colleges to corporate offices, and public parks to private homes. She also facilitates movement and mindfulness experiences for group events and conferences, including TEDxLongDock and Social Venture Institute / Hudson Valley (at Omega Institute), and leads annual yoga retreats in the Hudson Valley and internationally. Equal parts strategist, publicist, marketer, social entrepreneur, nonprofit leader, and writer, Scott has 20 years of experience and a broad perspective promoting ideas, products and services in various culture-shaping (and sometimes suffocating) worlds — advertising, media, interactive design, photography, technology, television and fashion. He’s followed his bliss for years and has used visioning exercises to help bring clarity to his own path and others. Some years ago, catalyzed by 9/11 and an ongoing process of spiritual and social awakening, he broke the trance of an increasingly cynical consumer culture and started applying his corporate-honed skills to social impact. He has an insatiable interest in transforming failed systems, in big ideas and the behaviors that drive people, what resonates with them, and how to engage them. In his new incarnation, he's worked with innovative nonprofits, foundations, citizen groups, social entrepreneurs and thinkers at the intersection of progressive issues, media, arts and culture, socially responsible business and big ideas. He's been involved in various projects and community engagements focused on making the Hudson Valley a more vibrant, sustainable, locally-rooted and human-scale place to live and work. Sign up for updates on classes, workshops, retreats, and musings. Copyright © Resonant Heart Yoga. All rights reserved. Website by Antidote Collective. Photos by Tom Moore.